1. 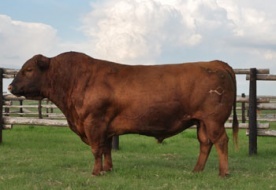 Here is a bull to use when looking for a sire that will produce good replacement females. 2. Medallion's offspring are smaller than average in stature, but have lots of capacity and muscle.